This is a konjac food theme park in Kanra-machi in the southwestern part of Gunma. 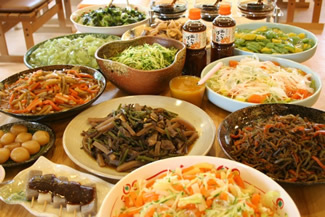 Do you like konjac foods? You can find them in various Japanese dishes, such as oden. Konjac originally came from Southeast Asian countries like Myanmar, Malaysia, and Thailand several thousand years ago. Konjac foods have zero calories and are super healthy.